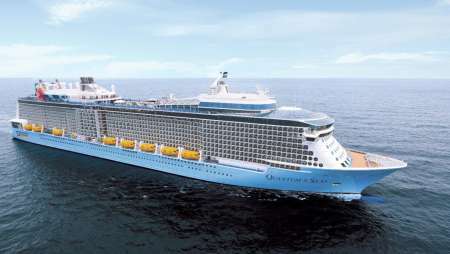 Royal Caribbean International is a global cruise brand with 25 innovative ships, calling on more than 280 destinations in 72 countries across six continents. This is how you take your vacation off the clock, off the charts, and maybe a little off the grid. Royal Caribbean is more than your ride to some of the coolest spots on the planet. (Ever seen the view from atop a Mayan pyramid?) It's where you'll dive into the next wave of onboard fun, dining, entertainment and accommodations. When it comes to unforgettable onboard experiences, Royal Caribbean knows how to raise the bar. There's our Bionic Bar, for example. Take your pick of 25 ships, including the newest Quantum Class and Oasis Class ships. The innovation and great times are all built in, including delicious dining options, family fun, Broadway-style shows, cruiser-friendly technology, new and renovated staterooms, and more of the little details that make the difference between a good vacation and an amazing one. Come seek your best adventure with Royal Caribbean. M life members may be eligible to receive personalized benefits and exclusive cruise offers when sailing with Royal Caribbean, including complimentary cruises for qualifying Platinum and NOIR members.